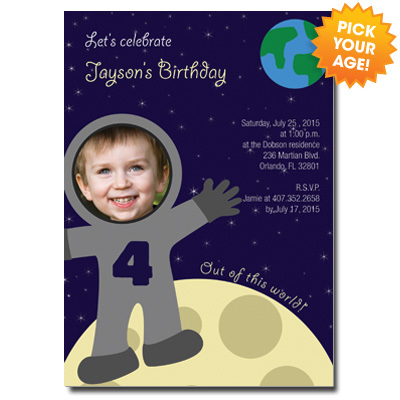 Invite your friends to a party that's out of this world! Customize the design with a picture of your own. Card measures 5x7.